What I Learned This Week – 9/21/14 | I'm not stalking you. I have ALWAYS wondered who sings the songs during the chase scenes on the TV series Scooby-Doo, Where Are You? 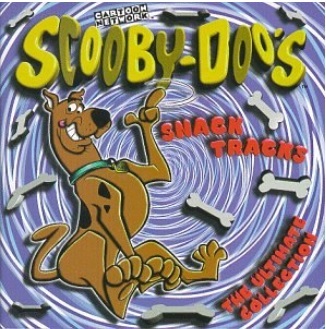 Many years ago, I bought a CD called Scooby Snacks, which included all the great chase songs, such as “Daydreamin'”, “Love The World”, “Recipe for Love”, and my personal favorite, “Seven Days a Week”. But the liner notes never listed who actually sang the songs. I am sure it was never in the dude’s original contract to be compensated for any further release of the songs. He never could have known in 1969 that people in 2014 would want to listen to his music on CD, mp3, DVD, etc. The magic of Google always impresses me. I just typed in the song title+Scooby Doo, and within a minute, I learned this week that the guy who sang all the songs above is actually Austin Roberts. According to Wikipedia, Roberts also sings the THEME SONG to Scooby Doo, Where are You?. [Note: If you are not an expert Scooby-phile, I will let you know that there are many, many versions of the Scooby Doo theme song. But “Where are You?” is the first, and one of the best. Roberts has worked steadily all these years, primarily as a songwriter, and is almost as old as my mom. 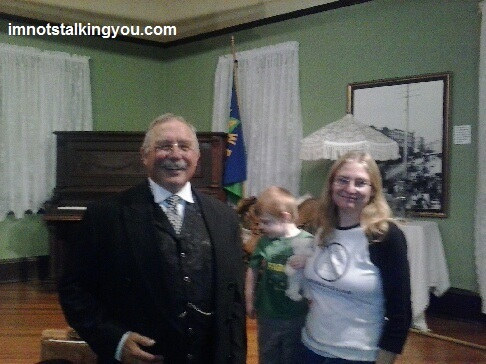 This week I also met Teddy Roosevelt. Wow, in the last three weeks I have had my picture taken with two past presidents (the other was a Lincoln statue in Gettysburg). President Roosevelt even gave my son the “teddy” bear he is holding in the picture. I have been just a little obsessed with the 7-part documentary that PBS aired last week, The Roosevelts. You can still watch it now at http://video.pbs.org/program/roosevelts/ [Expires 8 days from now]. Posted in A day in the life, UnProfessional Photography & Artwork, What I Learned This Week and tagged Austin Roberts, bear, chase, Lenawee County Historical Museum, Music, past, president, Roosevelt, Scooby-Doo, songs, teddy, Theodore, united states, Where are you. Bookmark the permalink.